Bosch makes some of the most popular dishwashers on the market, and our tests prove that they're also some of the best. We know that Bosch dishwashers consistently get plates clean and dry, they are water and energy efficient, and they feature designs that are both practical and elegant. Bosch updated its entire dishwasher lineup for 2017 to include some new features and improve a few old ones. The Bosch 300 Series SHX863WD5N with a "bar-style" handle, standard third rack, and hidden controls. That includes the 300, 500, 800, and Benchmark series models—which are largely identical when it comes to cleaning, but differ widely when it comes to design and features. 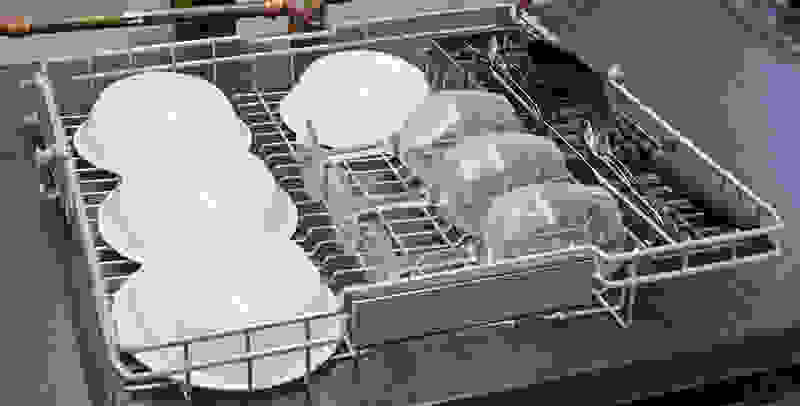 We tested the Bosch 300 Series SHXM63WS5N (available at AppliancesConnection for $1,029.10), and can confidently say a great dishwasher is now even better. The lower rack slides in and out quite easily, and it also comes with two half rows of grey folding tines. 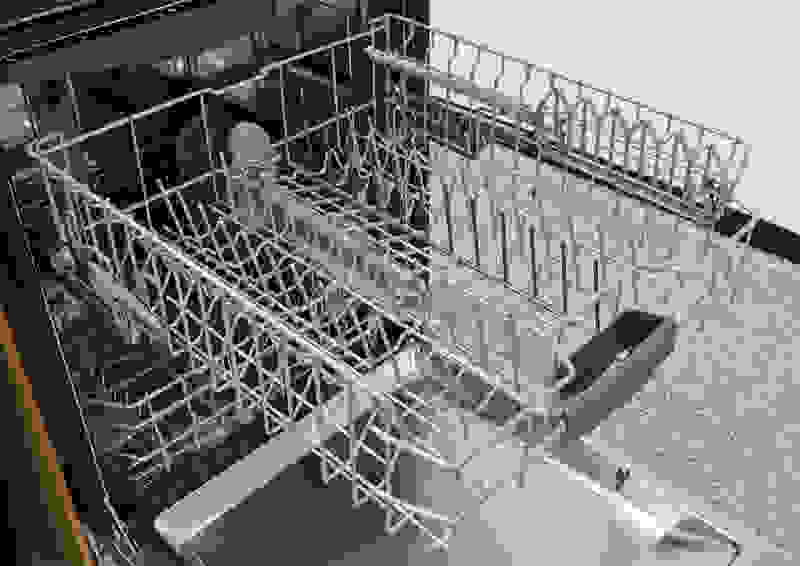 The full-depth cutlery basket is one large unit piece. 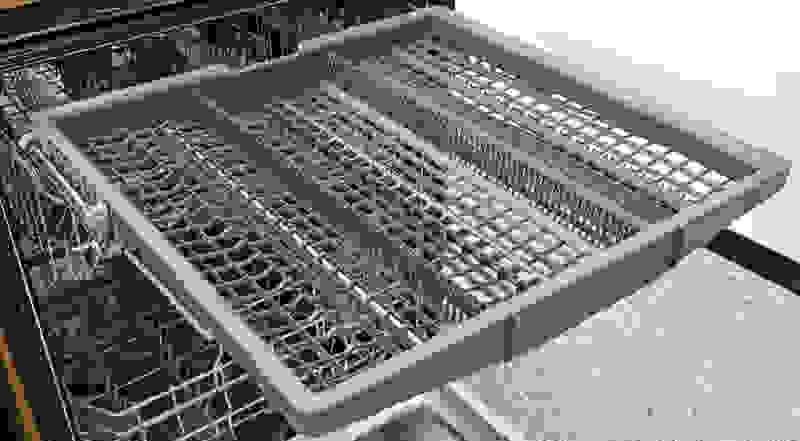 • FlexSpace Tines – Most 300 Series dishwashers have a redesigned adjustable tine format for easier loading of thicker dishes, including adjustable tines on both the upper and lower racks. The 300 series—along with the Ascenta and 500 models—will all get this redesigned third rack. Instead of a flat tray, it angles down towards the center to let you wash other items like shallow bowls or certain types of stemware. 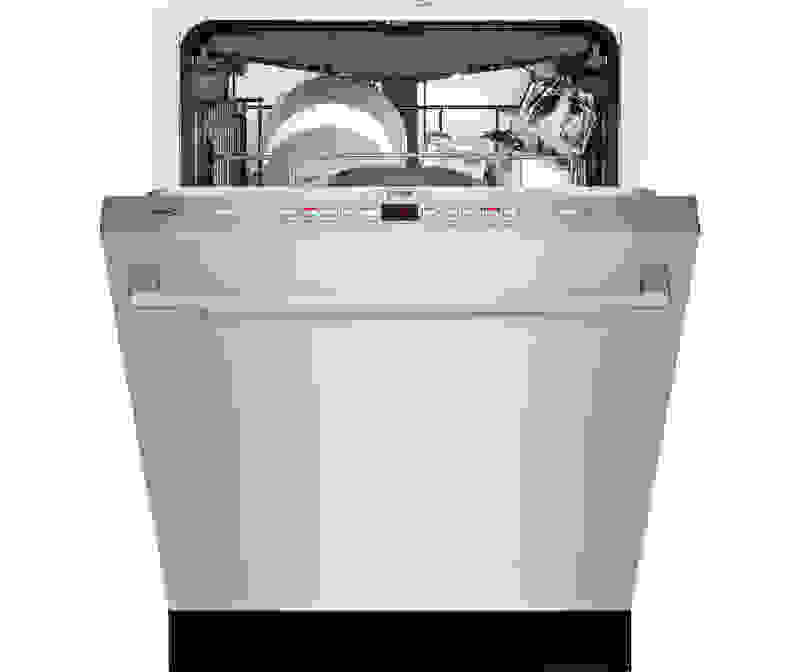 There are 25 dishwashers in the Bosch 300 Series, which is built in New Bern, NC. 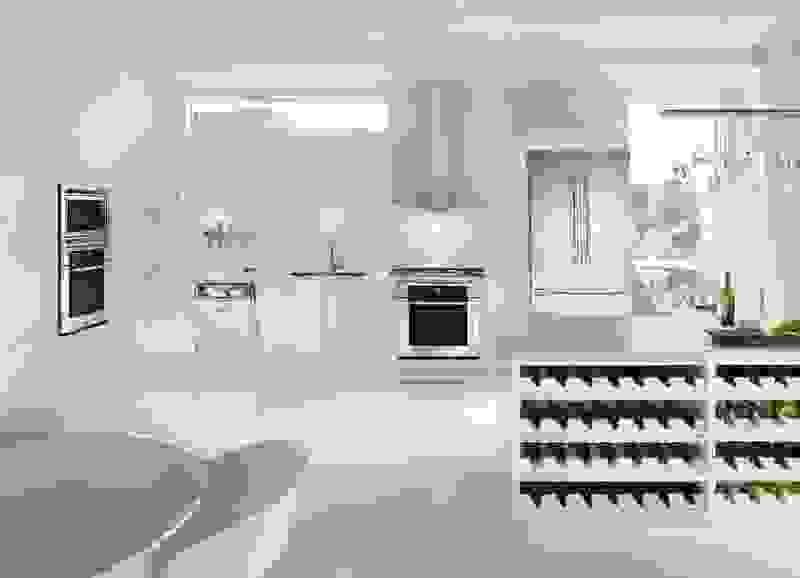 You can order a 300 Series in stainless, black, white, or panel-ready for an integrated look. A traditional bar-style handle and hidden controls look great in a luxe or traditional kitchen, while models with a recessed "pocket" handle gives a modern look, and dishwashers with front-mounted controls are easy to see. Where's the dishwasher? Panel-ready models can be hidden behind cabinetry. In fact, there are more options in the 300 Series than in the mid-range 500 Series, as front controls, water softeners, and panel-ready designs skip the 500 Series. We recommend the 300 Series over the entry-level Bosch Ascenta models, which we don't think clean as well as other affordable dishwashers. 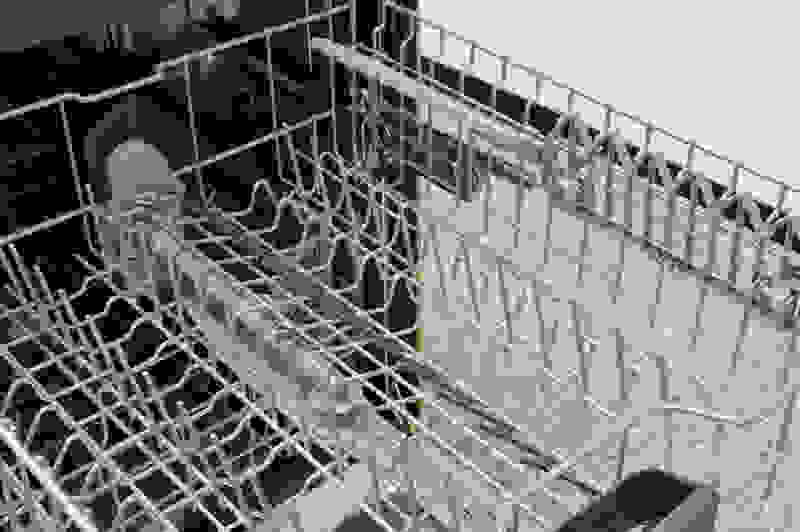 We love how the new Bosch dishwashers feel. 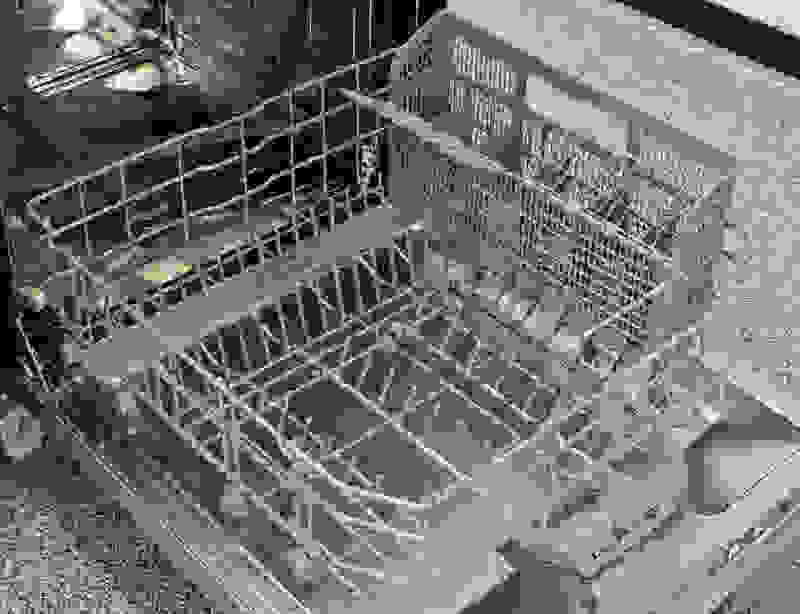 But to find out how well they cleaned, we had to put one through the standard lab tests we subject all dishwashers to. We tested the SHXM63WS5N, part of the new 300 Series. It features a stainless panel and hidden controls. Bosch's detergent dispenser is designed for pods. The Normal cycle removed all but a few flecks of baked-on spinach, which is as good as any dishwasher gets in our tough tests. The hour-long Speed60 cycle did well, too, which is quite a feat. The Heavy option obliterated every stain we threw at it; only two dishes showed any redeposited food, and even then it was a minute amount. 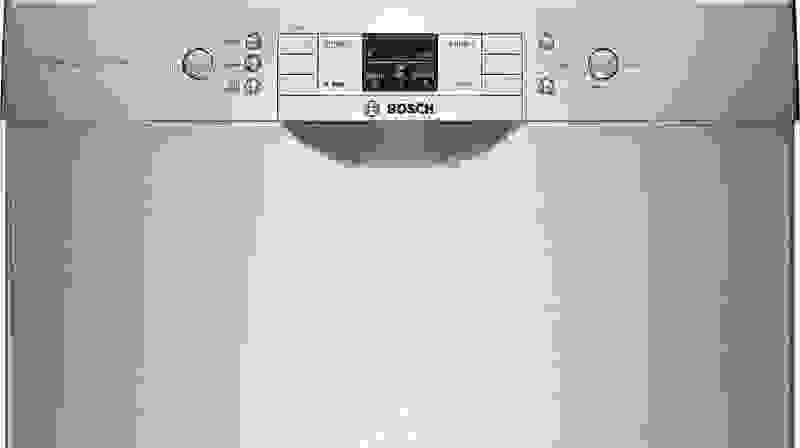 In other words, once again, Bosch gets the closest we’ve come to a perfect clean. The 300 series also has four features. You can use Delay on anything, but the other three options only apply to Normal, Heavy, and Auto cycles. 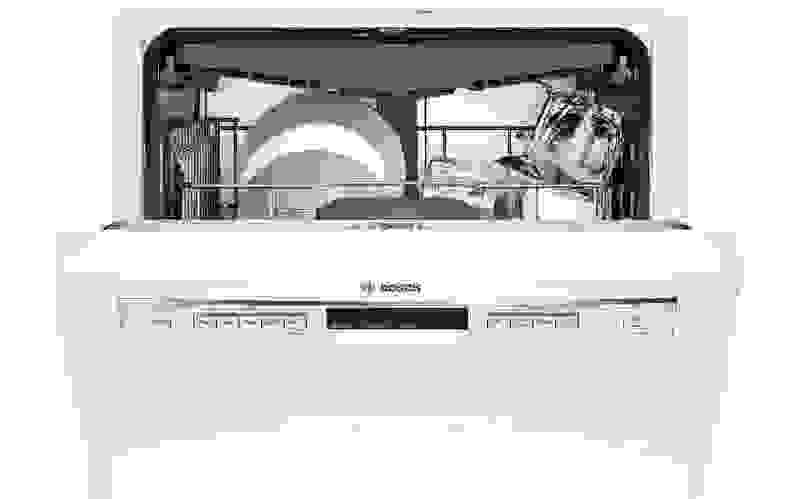 While other Bosch dishwashers have additional cycles, the 300 Series includes only four: Auto, Normal, Heavy, and Speed60—plus a nine-minute Rinse option. Features include a cycle delay in hour increments from 1 to 24, Half Load, Extra Dry, and a Sanitize option that can be activated on any of the three full-length cycles. 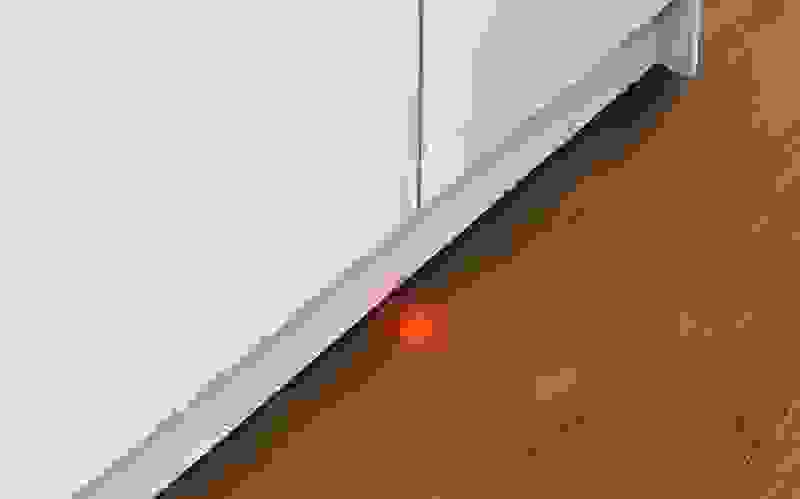 300 Series dishwashers with hidden controls have an InfoLight—a red light that shines on the floor to let you know the dishwasher is in use. 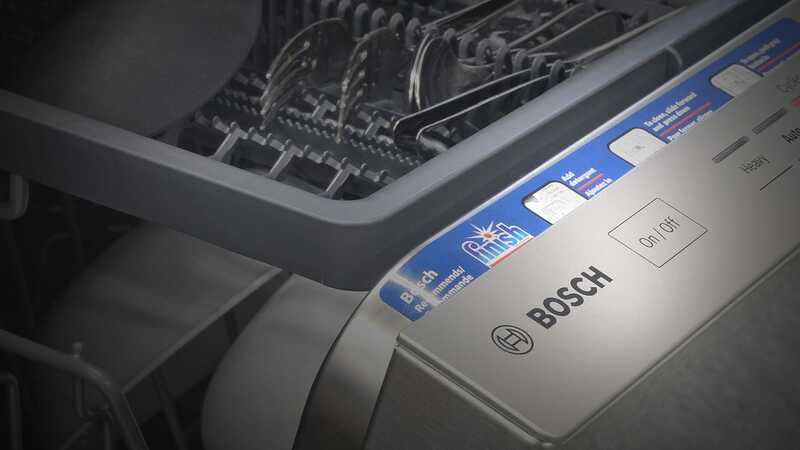 Considering how much we like the 500 and 800 Series Bosch dishwashers, it's no surprise that the 300 Series did so well in our tests. No a 300 Series dishwasher won't be as quiet as one of Bosch's pricier models, and its third rack won't be able to fit as many items—but it will clean quickly, quietly, and thoroughly. The 300 series has five cycles, including the new Speed 60 quick option. Like the lower one, the upper rack comes with a row of dark grey folding tines. They're seen here in the upright position. Bosch's MyWay third rack will be found in the 800 and Benchmark series, and gives you the space needed to use it as an actual rack, not just an extension of the cutlery basket. The tines can be folded down to make room for thicker glasses or larger bowls. The upper rack is just as sturdy as the lower one, and has two sets of stemware clips attached to one side.